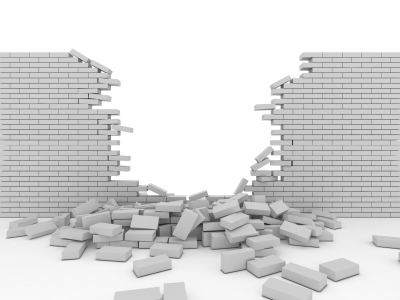 Image courtesy of David Castillo Dominici / FreeDigitalPhotos.net. • Sexism: By simply speaking with this woman, Jesus demonstrated the importance of women in His kingdom to a world that considered women to be chattel. As we continue reading through the New Testament, we will see how several women were counted as Jesus’ friends. There is a clear leadership hierarchy set up within the Church, but don’t ever think that teaching children or serving the aged members is any less important to the overall mission of the Gospel than preaching from the pulpit or being an elder. The most important characteristic of a follower of Christ is to be willing to serve Him in any way that brings Him glory and honor. Remember, it’s all about Jesus! • Judgment/elitism: This Samaritan woman was an outcast even among her own outcast people because of her life choices. In verses 16-18, Jesus spoke truth into her life without condemnation. What resulted from this conversation is that many in a town of outcasts came to a saving knowledge of the Savior even before the religious elites. We need to see people in every walk of life as Jesus sees them: precious in His eyes, valuable creations who need to know the truth of His love and salvation. Telling them about the loving Savior and what He did for us is our job; judgment is reserved for God alone. In just one conversation with one person, Jesus showed His church how we should treat those with whom we come into contact. Take some time to reflect on your own feelings towards other races, lifestyles and the other gender (including those who claim alternate genders) and then read John 4 and picture how He would interact with them in person. That is how Jesus wants us to treat others. 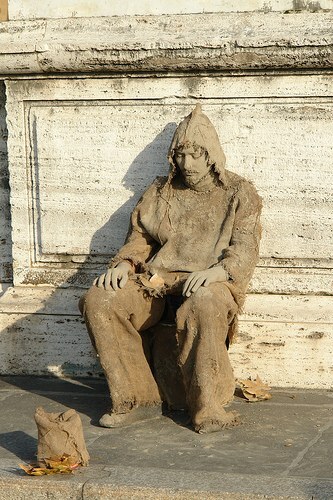 Sackcloth and Ashes on the Ponte San Angelo photo by GOC53 on Flickr. What does the word “repentance” mean to you? How does it feel? Can you remember the last time you were truly penitent for something you had done? Have you ever asked for forgiveness for the sins of your parents, grandparents or ancestors? What did this remorse look like; could anybody else tell you were feeling sorrow for your sins? In the Bible, one outward sign of abject humility and repentance was referred to as wearing sackcloth and pouring ashes or dust over one’s head. In his book, Nehemiah starts out hiding his grief over the dilapidated state of the wall around Jerusalem from King Artaxerxes. 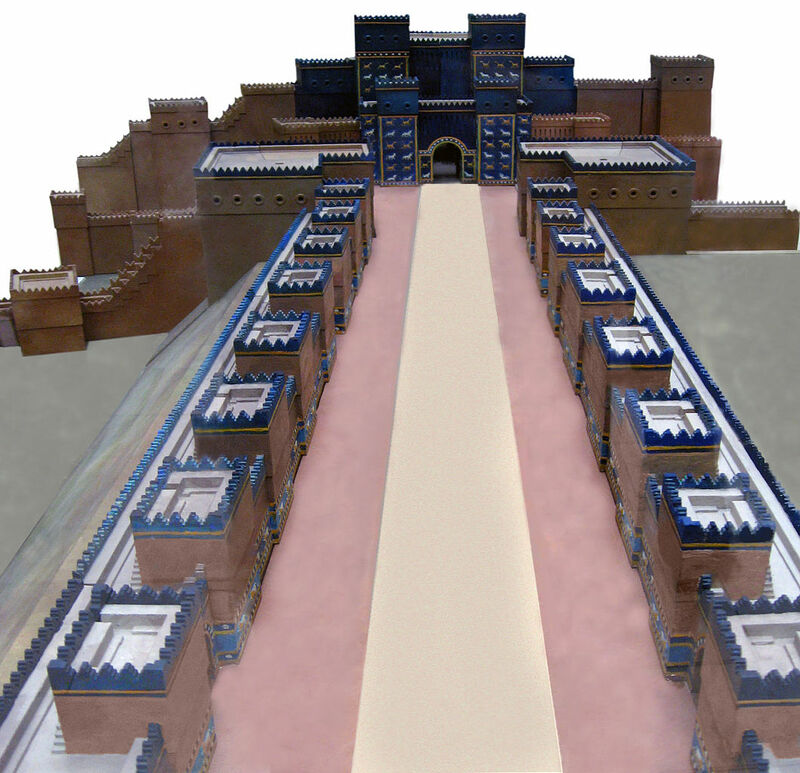 Sometime later, the king recognized Nehemiah’s sorrow and allowed him to go to Jerusalem to oversee the rebuilding project. By chapter 9, Nehemiah and the Jews came together fasting, wearing sack cloth with ashes on their heads after the prophet Ezra read the Law for what was perhaps the first time to many of the people. To drive the point home, the Levite priests then recounted the history of Israel from Abraham until that day in which the repatriated exiles gathered together to dedicate their lives and their country to God. The people wore sackcloth and ashes as a sign of their understanding of the grievous sins that they and their ancestors committed against God. They understood that the sins of the entire nation of Israel resulted in God carrying out His threat to scatter the people across the earth if they did not follow His commandments. They set about making things right in their land in order to regain God’s favor on them. I often wonder how bad things will get in this country and in this world before the voice of God echoes’ “ENOUGH!” throughout His creation. I was recently asked if I thought this country is under God’s judgment and I have to believe it is. We have not realized the extent of what judgment looks like, but if you want an idea, read the books of Jeremiah, Lamentations and Ezekiel. It is not pretty and it definitely is not something I would wish even for my worst enemies. Perhaps it is time for Christians to put on gunny sack tunics and humble ourselves before our God. Image file: Pergamon Museum Berlin on Wikimedia Commons. Last time, we looked at how God revealed Himself through the majesty of creation. In the book of Ezekiel, God revealed Himself in a far less idyllic manner – through the withering siege and brutal conquest by King Nebuchadnezzar and his Babylonian army. Despite generations of warnings by God through the prophets, a vast majority of the people of Israel and Judah “exchanged the truth about God for a lie, and worshiped and served created things rather than the Creator…” not unusual behavior for fallen mankind, but unacceptable to God as illustrated in Romans 1:25 (NIV). The accounts of the Babylonian captivity in 2 Chronicles 36 and as prophesied by Jeremiah and Ezekiel are heart wrenching, even knowing that these people should have seen it coming and had every opportunity to stop the judgment. Some leaders like Hezekiah and Josiah tried to turn the hearts of the people back to God. What few revivals that occurred were short-lived and in retrospect, not very successful. The next king who came along led his people right back to the pig trough of disobedience and often added more depravity to the mix. By the time that Ezekiel came along, the captivity had already begun. God proclaimed repeatedly that the purpose of the judgment upon Israel and Judah by Babylon was “that they may know that I am the LORD.” (Ezekiel 20:7, 12, 19, 20, 24, 38, 42, 44, et al, NKJV) Just as God’s fingerprint in all creation serves as overwhelming evidence of God’s love in the nicest of ways, his judgment of people and nations who choose to turn their backs on Him can result in the bitterness of a devastating conquest by hostile armies whom God has chosen to deliver his discipline. Both methods are intended to draw us to Him in humility and repentance – that we may know that He is LORD. Any loving parents would prefer to shower blessings upon obedient children, but are all too often forced to deliver correction when the children choose to rebel. God would also much rather bless His faithful followers than to smack down a wayward nation. The choice is up to us.